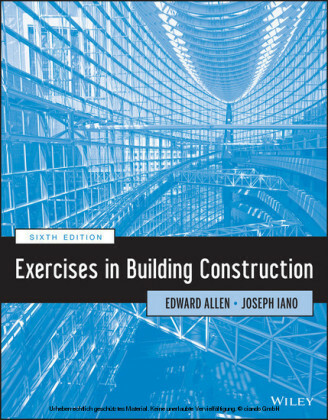 Now in its sixth edition, this bestselling reference focuses on the basic materials and methods used in building construction. 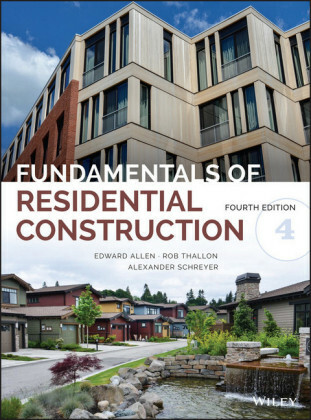 Emphasizing common construction systems such as light wood frame, masonry bearing wall, steel frame, and reinforced concrete construction, the new edition includes new information on building materials properties; the latest on 'pre-engineered' building components and sustainability issues; and reflects the latest building codes and standards. It also features an expanded series of case studies along with more axonometric detail drawings and revised photographs for a thoroughly illustrated approach. 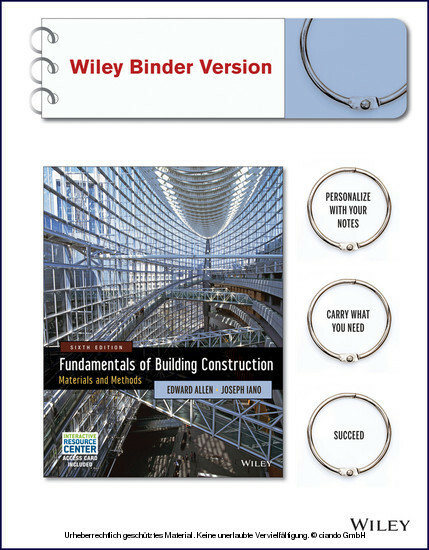 This new edition also includes access to the online Interactive Resource Center, containing animations, interactive exercises, and other learning resources tied to the book. Edward Allen, FAIA, has taught for forty years as a faculty member at Yale University and the Massachusetts Institute of Technology, and has frequently taught as a guest lecturer at other institutions throughout the United States. 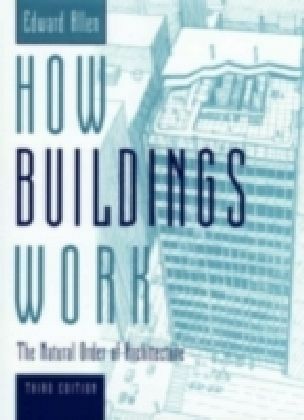 He has designed more than fifty constructed buildings and is the bestselling coauthor of The Architect's Studio Companion, Architectural Detailing, Form and Forces , and Fundamentals of Residential Construction , all published by Wiley. Joseph Iano is an author, illustrator, and practicing architect who has taught design and technology in schools of architecture throughout the United States, and has also worked in the construction trades. Currently, he heads a Seattle firm that provides technical and quality management consulting to the design and construction industry. He is the coauthor with Edward Allen of The Architect's Studio Companion .